The kids might be all excited for presents Christmas morning, but don’t forget about having a tasty Christmas breakfast ready for them. These reindeer donuts are perfect for Christmas morning – you can even have them in the living room gathered around the tree. 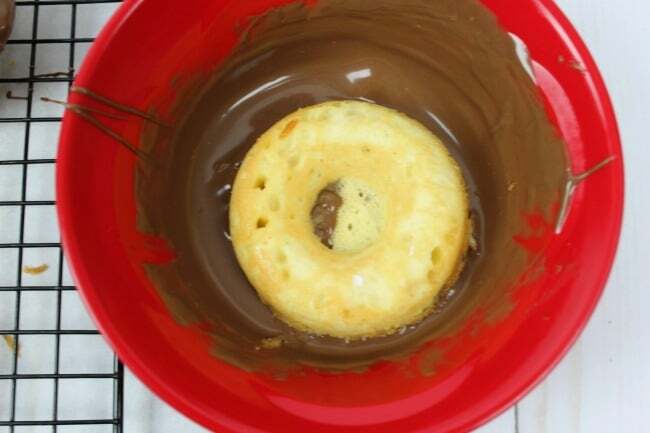 – Mix together the cake mix, water, vegetable oil and eggs according to the cake mix box. 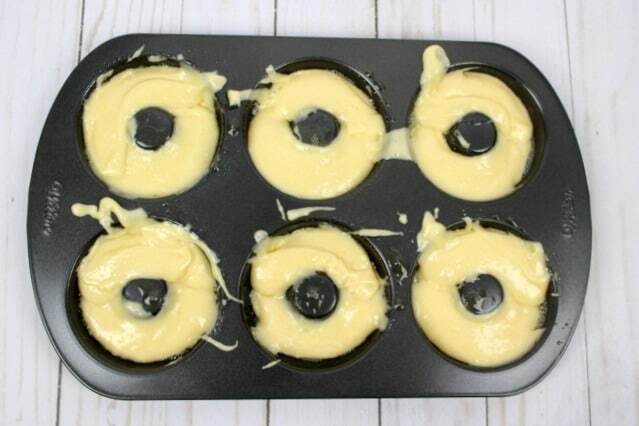 – Spray the donut pan with cooking spray. 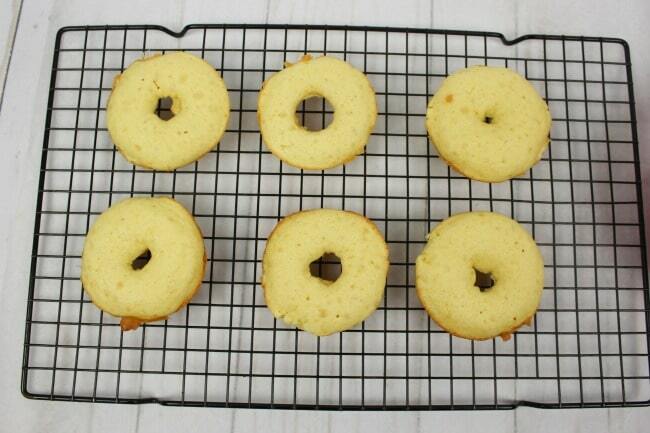 – Pour the donut mix into a measuring cup for easy pouring. Pour the donut mix into the donut pan. If you fill over the center hole, it’s okay as you’ll be covering it! – Bake for 12 minutes at 350 degrees. – Let cool for 5 minutes. – Melt the chocolate candy melts in microwave or with this Wilton Melting Pot. 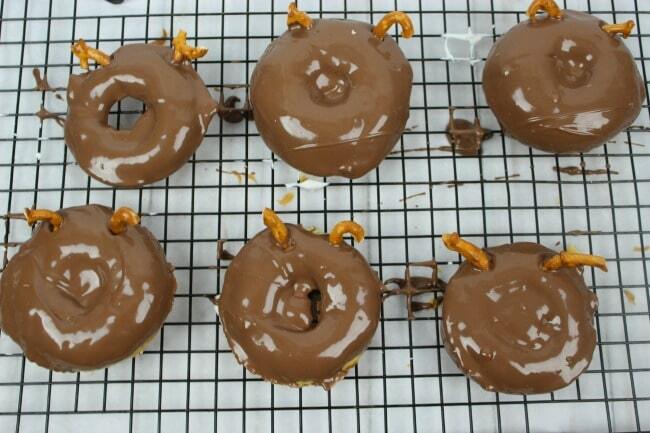 – Dip the top of the donuts in the chocolate melts. Set aside for 5 minutes to harden. 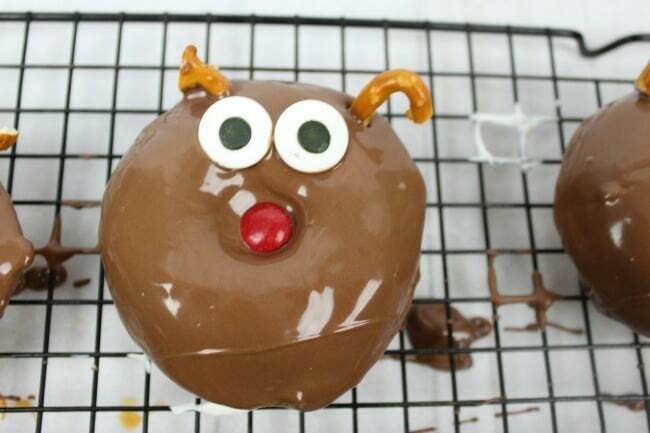 – Place a red M&M in the center of the donut for the reindeer’s nose. – Place 2 Wilton eyes above the nose. – Break a pretzel twist in half to get a curved pretzel. Insert at the top of the donut to act as reindeer antlers! 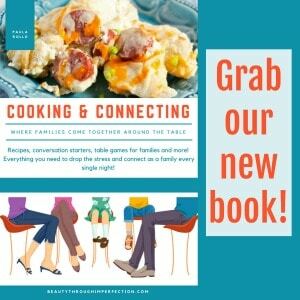 These would be so fun for a holiday party or school get-together too! As you get these ready for Christmas morning, make sure that you have this Reindeer Food Recipe all ready for Christmas Eve too! Hey Buddy!, I found this information for you: "Reindeer donuts". 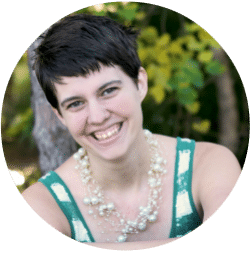 Here is the website link: https://www.beautythroughimperfection.com/reindeer-donuts/. Thank you.